All our professionals at Holly Scott-Hetchler DDS maintain the highest levels of accreditation and pursue ongoing education to stay abreast of the latest trends in dentistry. Dr. Holly Scott-Hetchler grew up in Lansing, Michigan. She started out as a dental assistant and then attended Lansing Community College where she received an Associate of Applied Science in Dental Hygiene (1994). While working as a dental hygienist she completed her Bachelors of Science degree at Michigan State University (1998). Dr. Scott-Hetchler then attended University of Detroit Mercy, School of Dentistry where she earned her Doctor of Dental Surgery degree (2002). 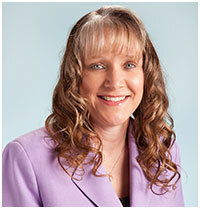 She joined the practice in 2002 and transitioned ownership from Dr. Gerrit Gucky upon his retirement. Dr Holly Scott-Hetchler is a member of the American Dental Association, Michigan Dental Association, and Central District Dental Society. She is currently the chair of the Central District Dental Society Standard of Care Board on Peer Review. Dr. Holly has completed many continuing education seminars, including the prestigious Dawson Academy and Spear Education Institute. She has received certification in the areas of cosmetic improvement of smile, TMJ disorders, pediatric dentistry, and many more. In the winter Lansing hosts the Silver Bells in the City lighted parade. In previous years Dr. Holly Scott-Hetchler and her team have entered a lighted float of tooth fairy land. Dr. Holly is the tooth fairy and her team are tooth fairy land helpers. It is a fun family event for the entire team. In her spare time she enjoys spending time with her husband Tom and their four children Kristina, Andy, Jacob, and Laura. The Hetchler family enjoys attending Michigan State University football games in the fall. GO GREEN!!! In the spring and summer they enjoy spending time at the lake. 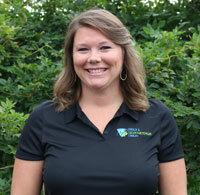 Michelle joined our team in 2012 as a hygiene coordinator and recently was promoted to the office manager position. Michelle has over 30 years of experience in the dental field. She worked as a chairside assistant the first 10 years in dentistry. Her office experience also includes 6 years in an oral surgery office. Michelle routinely attends continuing educations seminars to learn ways to better serve our patient family. Michelle resides in Owosso with her husband Denny. In their spare time they enjoy traveling, casino trips and time at their cottage at Houghton Lake. They have 3 children and 6 grandchildren that round out their family. Diane has been with our office for over 23 years. She works as a patient care coordinator and insurance liaison. Her skill at the front office and knowledge of dental insurance companies is an asset to our patients. 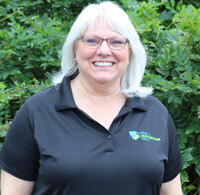 Diane has attended continuing education seminars on many areas of dental office improvement. Penny worked in our office for nine years before moving out of state. After five years we are excited to have her back! 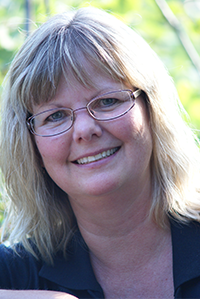 Penny is our scheduling coordinator and has various other administrative responsiblities. She continues to advance her knowledge by attending continuing education and training workshops. Christina worked as a dental assistant for 10 years and then returned to Lansing Community College to earn an Associate of Applied Science in Dental Hygiene (1997). She has over 20 years of dental experience. 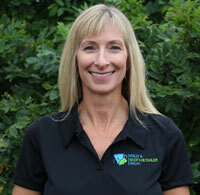 Christina has worked in our office as a hygienist for over 12 years. She attends numerous continuing education seminars every year to help improve her skills as a hygienist. Jessica has 6 years of dental experience. She started as a dental assistant after completing the Registered Dental Assistant program at Northwestern Michigan College (2004). After working as a dental assistant for a few years she returned to Lansing Community College and earned her Associate of Applied Science in Dental Hygiene (2008). Jessica also works as an administrative assistant in our office. She is very dedicated to dentistry and recently took a mission trip to Ghana to teach young children. She helped teach them how to lead a healthy lifestyle and the importance of good oral hygiene. Jessica regularly attends continuing education seminars to help better her skills as a hygienist. Ashlee is our lead dental assistant. She has worked in th dental field for a number of years. She regularly attends continuing education seminars to broaden her dental knowledge. Ashlee is a Certified Dental Assistant (CDA). She will soon be enrolling in the Registered Dental Assistant (RDA) degree program. Ashlee is a compassionate member of our team who provides superior chairside reassurance to our patients.